The Engine Room in Bendigo will be lighting up for a week with the premiere of neuro-diverse theatre production, Robot Song. When it comes to friends, Juniper has no idea what all the fuss is about. In fact, when classmates tease her for being like a robot she takes it as a compliment. Through the unconventional eyes of a child on the autism spectrum, Robot Song takes the audience on an incredible ride of personal discovery. But who is Juniper? Well, Juniper is a smart 11-year-old whose world is turned upside down when the arm of a giant robot appears on her doorstep and takes her on an unexpected journey to find the rest of its body. Surprised by the robot’s revelation that it has only ever wanted to sing, Juniper learns flexibility and unexpected outcomes are sometimes exactly what you need. Writer and director, Jolyon James, drew from her own experience raising a child with autism. 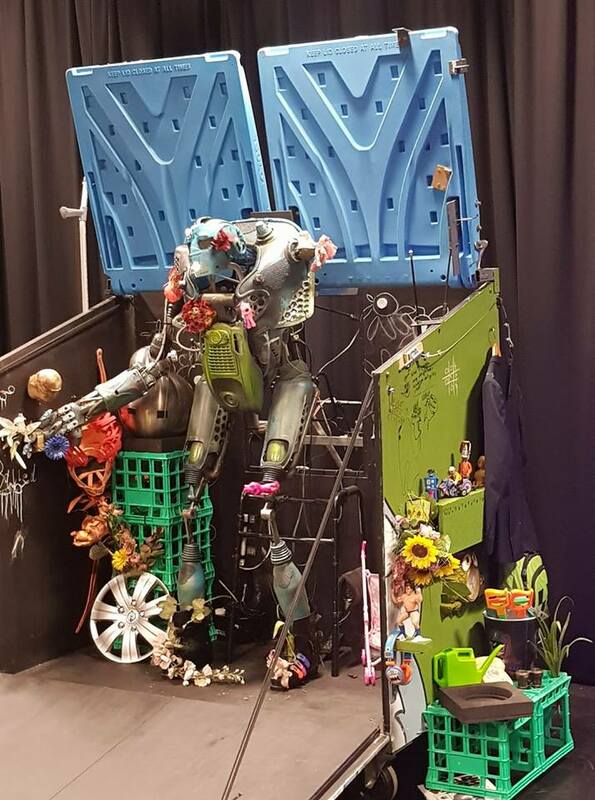 The show uses live animation, animatronics and with original music, Robot Song is set to entertain children ages 8–12 and their families. Flick caught up with Director Jol James on the brekky show, listen here!